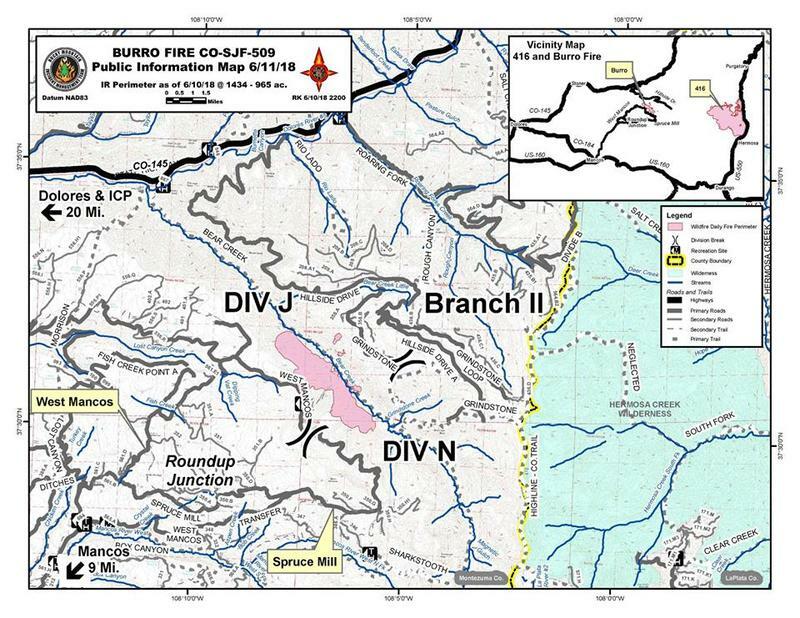 A map of the Burro Fire from Sunday at approximately 2:30pm. As of Monday morning the Burro Fire was at 1,500 acres. 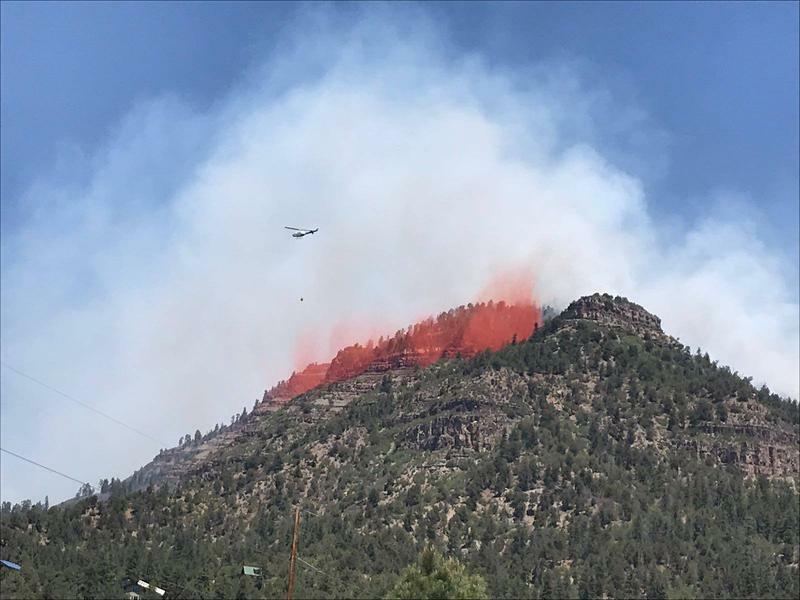 The 416 Fire north of Durango was at more than 22,000 acres and the nearby Burro Fire was at more than 1,500 acres as of Monday morning. 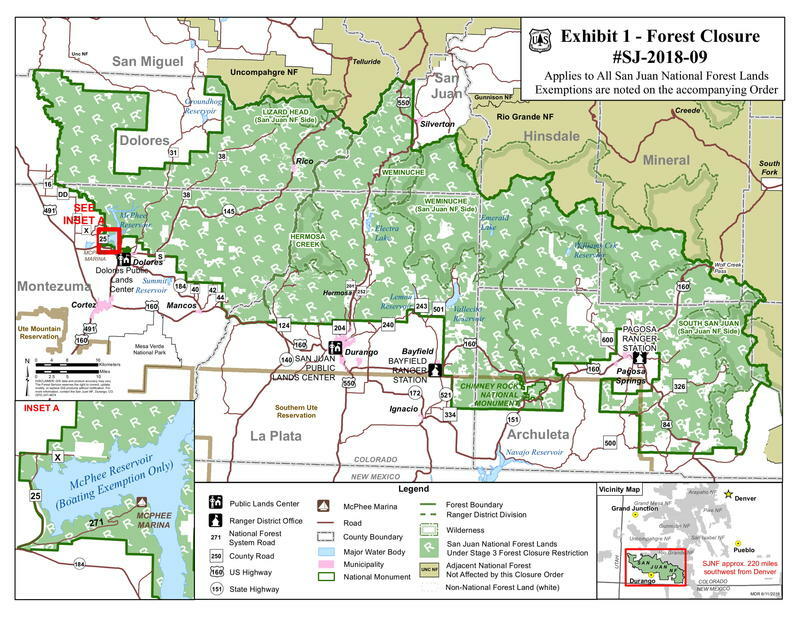 The closure will prohibit entry into the national forest and means that campgrounds, day use areas, roads, and trails will be closed, and that hiking, camping, and other recreational activities are prohibited. The McPhee boat ramp and marina will likely remain open but no shoreline use will be allowed. The US Forest Service began the first-ever closure of the San Juan National Forest on Tuesday. 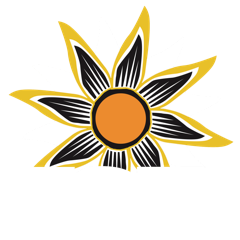 According to a Forest Service statement, the decision is based on exteme wildfire danger.